Samsung Galaxy Note 5 hasn’t been with us for too long, which means there is currently a lack stable custom ROMs available for the phablet. This changes today as a new and reportedly very stable custom firmware is now available for Galaxy Note 5. DarthStaker Android 5.1.1 Lollipop custom ROM works with all the models of Note 5 including T-Mobile, Sprint, Canadian variant, and others. Preloaded with Aroma Installer, you can tweak the OS to your own liking. DarthStaker Note 5 custom ROM gives you fast and stable performance as it helps you to get rid of the bloatware, removing any unnecessary apps and processes of your choice. DarthStaker Android 5.1.1 Note 5 custom ROM is rooted, zipaligned, deodexed, and installed with busybox. It supports WiFi calling and a lot more. You can read some of its features below; for more details and a complete list of features, refer to the XDA developer thread of the ROM. Here are all the steps that you need to follow to flash this stable custom ROM on your beautiful new Samsung Galaxy Note 5. Backup any important data from your Samsung Galaxy Note 5 as a complete wipe will be required during the flashing process. 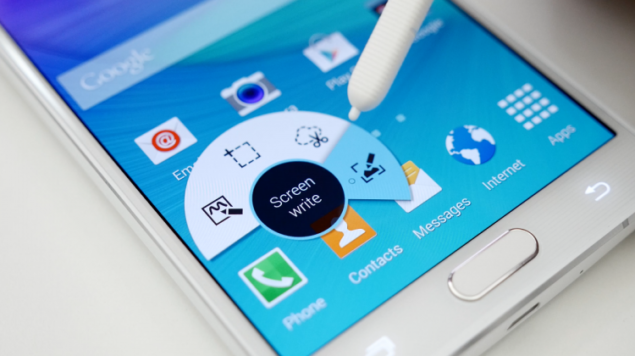 Samsung Galaxy Note 5 must be rooted, unlocked and installed with a recovery tool like TWRP or CWM. Required files: download DarthStaker Android 5.1.1 for Galaxy Note 5 and save it on your computer. Do not extract the contents. Also download the Google Apps Package for your Note 5. Connect Galaxy Note 5 to your computer using a USB cable and copy the zip file to your phone’s SD card. Disconnect the USB cord and power off your Samsung Galaxy Note 5. Boot it into recovery mode by pressing and holding Volume Up + Home + Power buttons together. Wipe data task: from CWM recovery menu, select wipe data / factory reset and confirm the process. Then go on to wipe cache partition and wipe dalvik cache. From recovery menu, select install zip from sdcard followed by choose zip from sdcard. Locate the DarthStaker Android 5.1.1 custom firmware and confirm the flashing process. Once done, repeat the above step for installing Gapps on your smartphone. After installation is done successfully, return back to main recovery menu and reboot your Note 5 into the new custom ROM. First boot takes a good 5 minutes so please be patient.